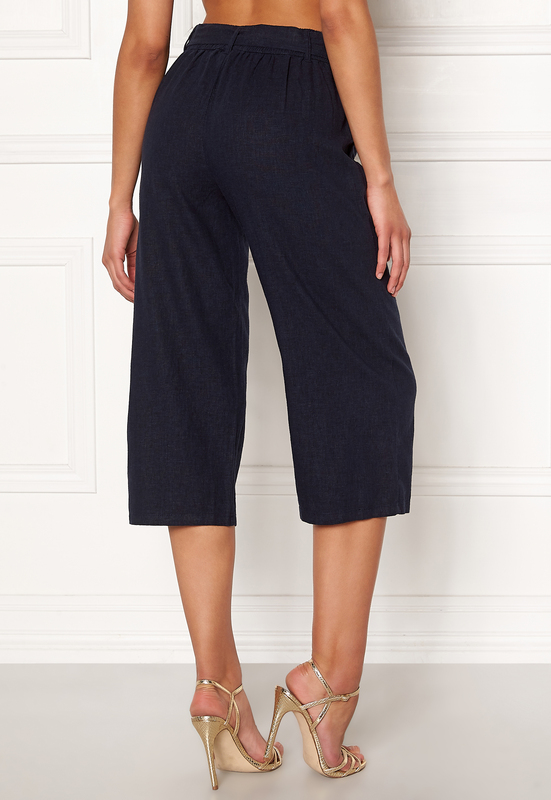 Gorgeous pants in a linen mix from JACQUELINE DE YONG. 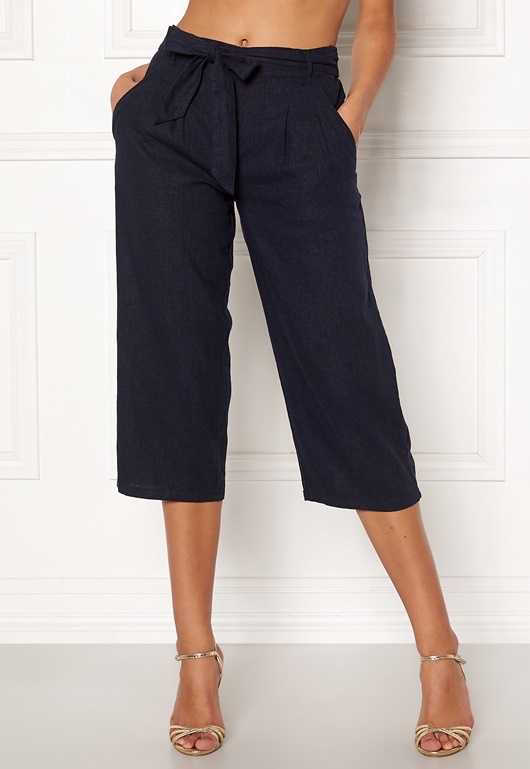 The pants are a relaxed fit with a tie waist and perfect for everyday wear. - Nonstretch, woven quality - Tie waist (detachable) - Culotte style - Wide leg Inside leg 54 cm in size 36. The model is 175 cm tall and wears a size 36. Machine wash at 30 degrees.